There is no need to buy an expensive, swishy bird bath when you can make perfectly lovely ones on your own. Spring has sprung and the birds in your yard will flock to your creative bird bath for a refreshing dip all summer long. 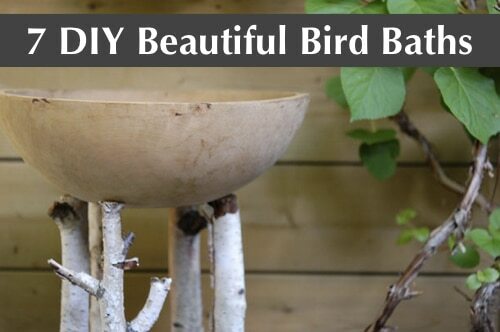 We found a handful of great DIY bird bath ideas that you can create yourself in just a few hours.